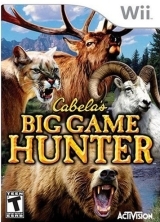 Cabela's Big Game Hunter is really a niche market title, however is still rather popular in the larger gaming fraternity. Best described, this is a strategic shooter which allows the player to experience virtual hunting by using a variety of tools of the trade and most importantly the environment to your advantage. Strangely enough, I don't compel the idea of hunting, however for those players who are curious or actually do hunt in the real-world, than this game has been truly designed for you. The Wii however is one of those consoles that takes gaming beyond traditional gaming as games such as golf and bowling are more enjoyable when played in the real-world, however the wireless capabilities and control system of this console actually makes it quite fun. Unfortunately Cabela's Big Game Hunter falls into the later category. With that said, this game is as close as the player can get to real-world hunting as the title is rather slow for the true gamer as the game contains quite a large dose of standing around, moving silently and using a wide range of weapons to hunt your animals. The developers also include different gaming methods to increase the realism of the title such as bullet-time which gives an almost sense of urgency when your animal is lined up in the target and you only have the briefest time of making a good shot. Quite an interesting use of bullet-time which works for Cabela's Big Game Hunter. The control system of the title on the Wii is fiddly at the best of times due to the need to have both wireless controllers connected with one used to navigate your hunter and the other to aim your variety of weapons. The control system is not bad but it is a little strange and sometimes frustrating, especially when you are trying to make that vital shot. The player also has a variety of different weapons available to them such as rifles and crossbows which are deadly silent. That is the fun bit. 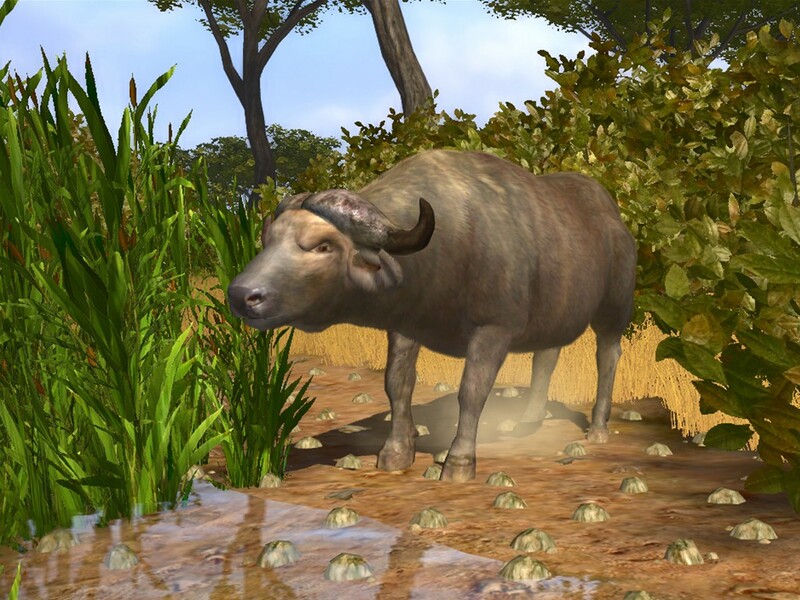 There are a variety of different hunting environments that your player engages in which give you access to a plethora of different animals and the like. Add in some elements of adventure games where you need to reach an almost unreachable destination and it does give the title some more interaction with the gaming environment, a sense of ownership to the player as they are part of some big hunt. Add in some different gaming modes and you can also unlock a variety of achievements as you progress through the title which rounds this title up. You can even explore your hunting grounds to locate where your animals are hunting and even meet the park ranger. Sometimes the realism goes a little too far. Graphically, the title is at best an average looking Wii game on the console with unfortunately un-inspirational linear gaming environment designs. Everything looks like a game that is at least 3 - 4 years old. The characters however are all well animated, including the hunter himself but the backgrounds are a little lackluster at the best of times. The zoom function of your weapons are unfortunately quite pixilated which kind of ruins the realism of an already realistic title. Sound effects are varied but few as you hear the sounds of your gaming environments and the animals themselves, very realistic. In conclusion, Cabela's Big Game Hunter is a strange game that attempts to use both realism and arcade to cater for two genres. 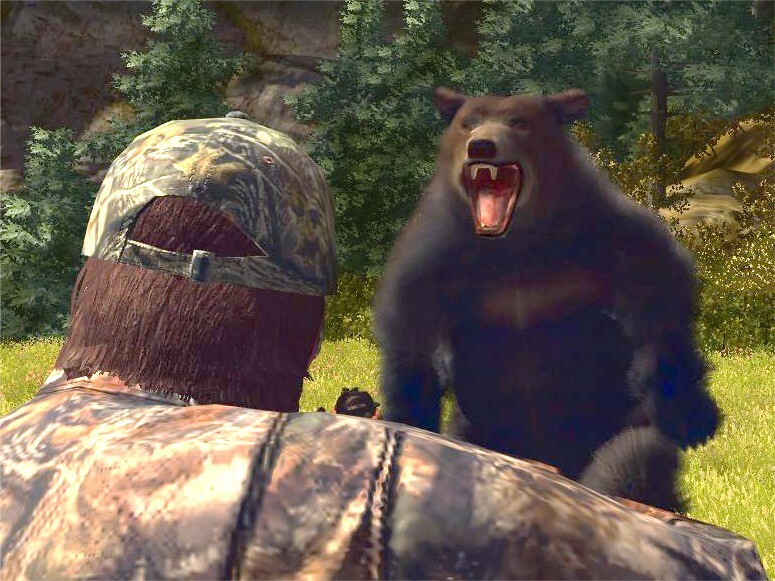 Traditional gamers may be disappointment at the title, however real-world hunters may get a kick or two out of the title. One for the strategic first person shooter to investigate.